I didn’t know him very long. We met during a trip to Shasta during last year’s solar eclipse. We were a large group of skiers from throughout the west – Colorado, Utah, California, Idaho, and even Alaska. We converged to ski Shasta’s famous spring corn and to witness the solar eclipse in a place known as a spiritual epicenter. Patrick dove right into the “assignment” and bonded immediately with the group. He encouraged us to flip of bridges, be silly, work it for the camera – the kid was hilarious. His persistence payed off and he took the National Geographic Extreme photo of the week and had his photos published in a writeup on TGR. Channeling energy after the solar eclipse in Mt. Shasta. Over the year, we stayed in touch via Facebook and email. I ran into Patrick at Outdoor Retailer in February and he invited me out with his friends. In April, I hooked him up with some European ski friends of mine and he spent days photographing them in Alaska. A photo Patrick took of Sandra Lahnsteiner in Haines, AK was a finalist in the Red Bull Illume contest. As recently as a few weeks ago, I contacted him to let him know we’d be traveling through his hometown in Idaho and he offered me the “grand tour.” We ran out of time and never stopped there, but, it turns out I should have. Patrick died in an accident on July 20th and it has hit the people who knew him pretty hard. He was young, but a role model for many who exemplified following your dream and doing something that scared you every day. He was outgoing and career driven, but incredibly nice and the opposite of pretentious. I’m a better person for having known him. I’ve been thinking a lot about injuries, death, extreme sports, and social media and I haven’t quite come to a conclusion on all their connections. I know that Patrick’s death was an accident, but I also know that we are members of a community where the norm is continual progression and the line between pushing your limits and death or permanent injury is sometimes blurry. So for now, I’m reassessing my risk tolerance and trying to find fun in less risky pursuits. I’m sure there is a line, but sometimes we have to step back to see it. Woah, that was fun! 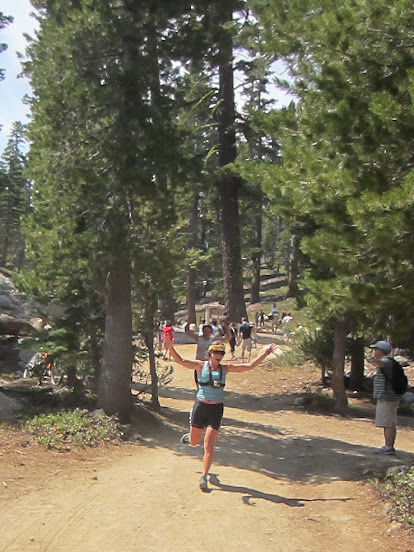 The Angora Lakes Triathlon was just like I remembered it. Racing with friends up to the lake, swimming across, jumping off a 20′ cliff, and swimming back, and racing back to the beach is a great way to spend a Tahoe summer morning. We tripled our participation this year too! Photos and video to come, but in the meantime, here are the “official” results. Lauren repeats as the champion. We need to get a trophy! Jenny Hatch wins the new mom division with a 5 month old baby! Oh yeah and a HUGE thanks to our volunteers Gretchen, Will, Pat, and Buddy! Great racing everyone!!! Angora Lakes Triathlon THIS Saturday!!! 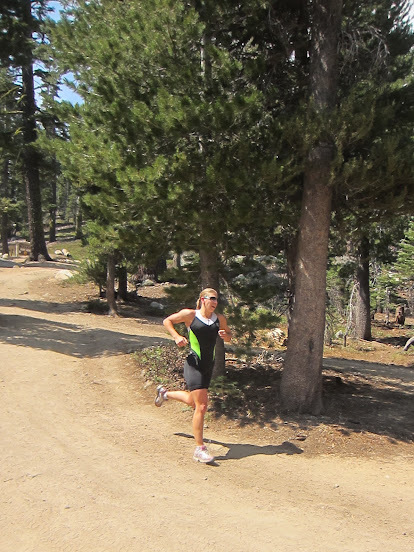 The 2nd Annual Angora Lakes Triathlon is this Saturday, August 4th. The course is set. Check it out here! Be at Kiva Beach by 10 AM to race! The race starts at 10:30 AM sharp! We still need volunteers to be at the start and finish, man the 1st transition, take photos, and be swim safety in a boat or on a paddleboard on the lake. Contact me if you are interested! In addition to getting copious amounts of fieldwork done for my job during an unlikely time, I also took the time to enjoy two activities unique to Juneuary 2012. Might as well make the most of June-uary, since there are only a few weeks left. 2012 Ability Challenge! Make Your Year End Contribution! 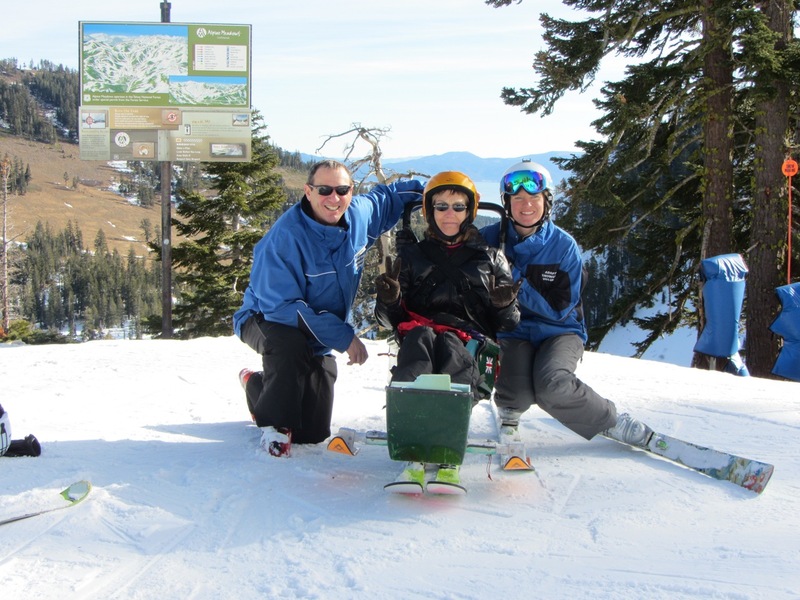 I’ve signed a team up to compete in the Disabled Sports USA Far West 2012 Ability Challenge. It is a fundraiser where you also get to compete in an All Mountain race by wearing a chip and skiing through different checkpoints. We are competing with an all female SheJumps Team. Each member has to raise $200, but my individual goal is to raise $500 for this stellar organization. Click here to donate! Any amount helps! If you don’t know about Disabled Sports, it’s a non-profit that helps people get out and participate in adaptive sports at an affordable price. I started volunteering with both their skiing and whitewater programs last year and have had so many memorable days. Just a few days ago, on Christmas eve, we skied with a 55 year old woman who thanked us at the end saying that it was her best Christmas ever. So, don’t make me beg and harass you like Donna Abadone or whoever your local NPR person is… donate! And, as always, thanks for reading this blog. 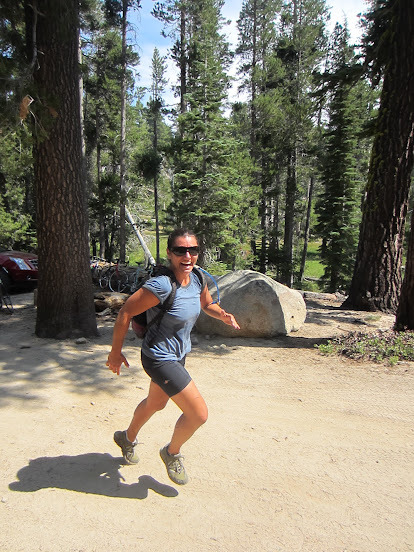 Four super awesome women showed up to compete in the 1st Annual Angora Lakes Triathlon on Saturday, August 6th. I am super grateful to our one amazing volunteer Sarah who cheered us on, timed us, and helped us transition. The best part was that everyone rolled in to the finish laughing and saying how much fun they had. Some people said they wanted to do this race every weekend. It was that much fun. So mark your calenders for the 1st weekend in August, 2012, 2013, and so on. Congrats to the winner Lauren – her inaugural win will go down in the history books. And a huge thanks to everyone who came out. Mark your calendar for August 4, 2012… it’s an event you don’t want to miss!